Fuggitivi is the Italian expression for breakaway riders; the translation, perhaps unsurprisingly, is ‘fugitives’. It seemed like an appropriate choice for a name as sometimes escaping one’s other commitments to go for a ride can feel like being a fugitive. It is also the term in professional road racing for the group breaking away off the front of the peloton. Italy is synonymous with a passion for road cycling, which we try to nurture in our own small way. We don’t train to race, or race to train. We ride to ride: for camaraderie, community, and simply to cycle. Some ride fast, and some ride slow; few things last, that’s all we know, but friendship (and the bike) carries on through the ages. 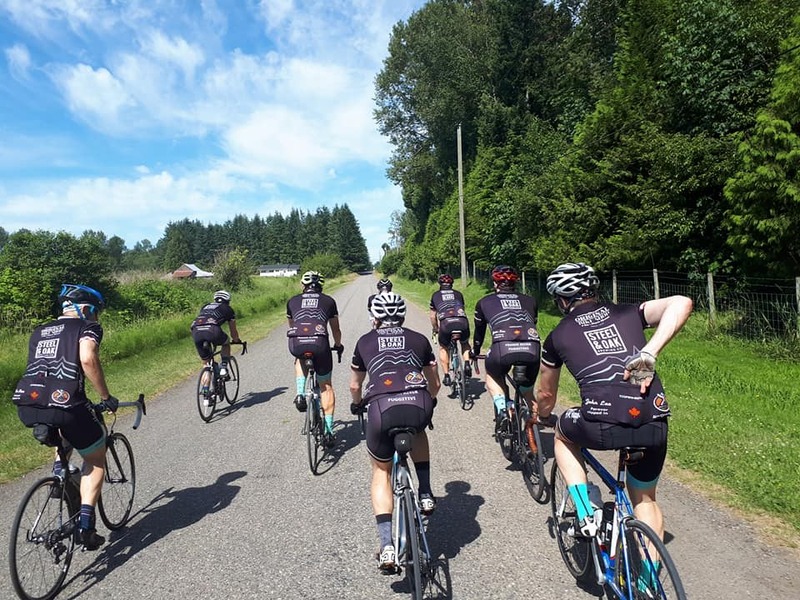 For some background about the club and why everyone should be part of a group ride, read this profile. Follow Mario’s blog for stories on the history of the club and his own riding exploits, as well as some great photos. Always in our thoughts is one of our founding members and a crucial cog in the drivetrain of the FRF ethos, John Lee, who passed away in 2015. He is memorialized on our jerseys, forever clipped in.